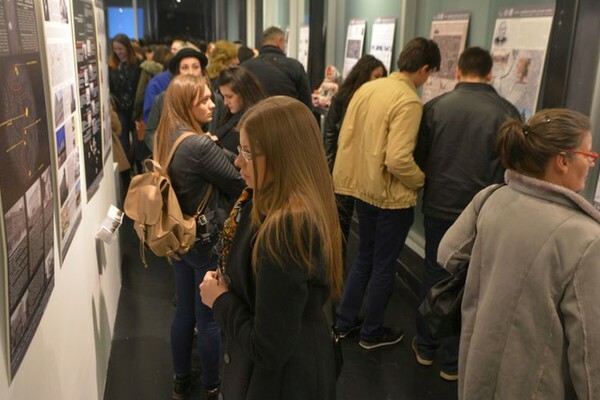 The ‘Heritage in the Function of Cultural Tourism – NS CULTours’ exhibition, organised by the University of Novi Sad, and Department of Architecture and Urban Planning of the Faculty of Technical Sciences, was opened at the Exhibition Pavilion of the Rectorate Building of the University of Novi Sad. Within the course Architectural Heritage, Preservation and Protection 1, students of the fourth year at the Department of Architecture and Urban Planning have had a task to form a cultural route for the territory of Novi Sad. They defined cultural routes as a unique collection of material and immaterial heritage components, based on systematic research of the nature of a place, and the importance of a heritage, i.e. conservation and tourist contexts. By applying various research methods, from collecting, staying and systemising material and literature, then conducting surveys and SWOT analyses, to visiting locations, observing and making photo-documentation, the students have chosen different topics according to specific traits in architectural, artistic, economic and historical senses. Based on the predefined criteria, certain students’ works have been selected to become part of the ‘NS CULTours’ programme. 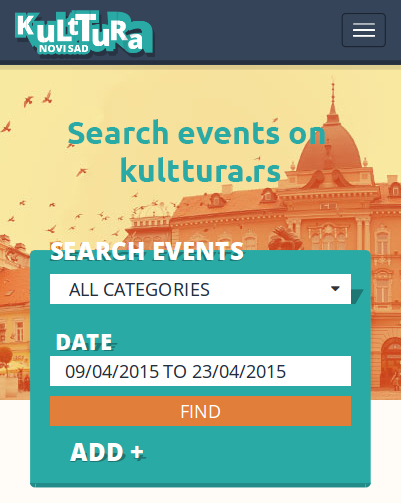 The selected cultural paths, apart from being shown within the ‘NS CULTours’ exhibition at the Exhibition Pavilion of the Rectorate Building, could also become part of the official cultural offer of the city and contribute to the promotion of heritage in the context of the development of cultural tourism in the upcoming European Capital of Culture. 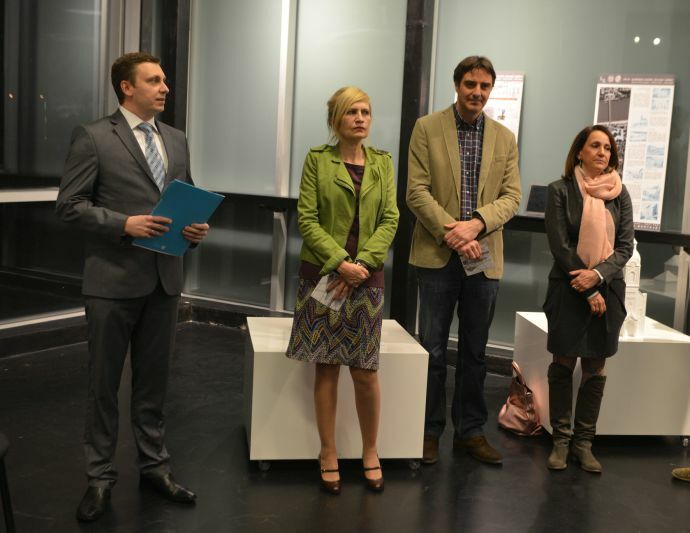 During her address at last night’s official opening of the ‘Heritage in the Function of Cultural Tourism – NS CULTours’ exhibition, manager of the Matica Srpska Gallery and Chairperson of the Steering Committee of the ‘Novi Sad 2021’ foundation Tijana Palkovljević Bugarski said that the European Capital of Culture is the most prestigious project of the European Union that promotes culture, not as the field of cultural institutions and workers, but as the way of life and model on how to trigger economic and tourist life of a city through active and participative work in all segments of culture. – Exhibition that we open tonight includes all those elements that we envisaged within one of the bridges – The New Way Bridge – which is dedicated to topics of heritage and hospitality. By studying, analysing and interpreting immovable heritage – architectural monuments and sculptures in public spaces – the students of architecture have designed and formed tourist routs that reinterpret the heritage of our city in twenty or so different topics, and offer new models for understanding the history of Novi Sad – said Tijana Palkovljević Bugarski and stressed that in this way the students showed a high level of innovation and willingness of academic community to actively participate in designing and implementing projects within the preparations for 2021 and implementation of the ‘Novi Sad 2021 – European Capital of Culture’ project. Ms Palkovljević Bugarski stated that she believes this project will find its application in the years ahead of us. – Also, I believe that we will have the chance, with professors and students of the University of Novi Sad, to develop and implement numerous other projects that will contribute to achieving our common goal, which is to be a successful European Capital of Culture – said Tijana Palkovljević Bugarski. The ‘Novi Sad 2021’ foundation is a partner of the University of Novi Sad and Department of Architecture and Urban Planning in realisation of the ‘Heritage in the Function of Cultural Tourism – NS CULTours’ exhibition, which will be opened by 26 February at the Exhibition Pavilion of the Rectorate Building in Novi Sad.